Raise your hand if you love free stuff? 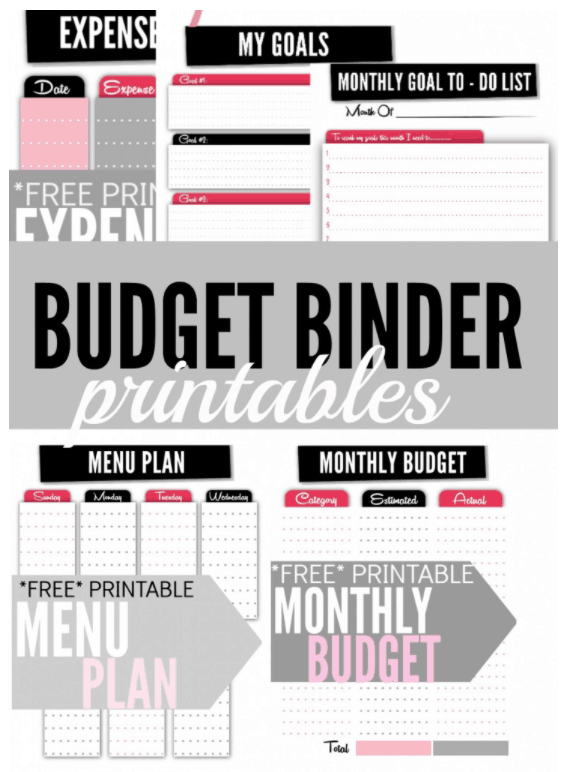 Raise your hand if are you in search for budget or meal prep templates printables to make your life easier? I recently did some research and found a ton of free budget printables that can totally help pay down debt quicker and also save money. 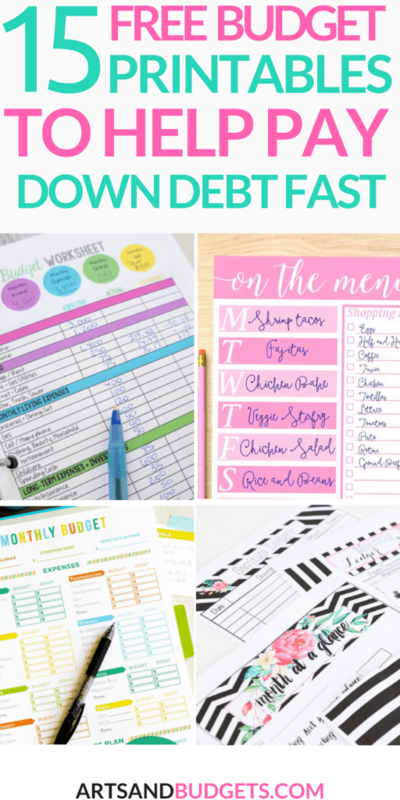 When my husband and I started mapping out our budget plan we didn’t know where to find great budget and meal planning printables so I searched around and found some great ones. 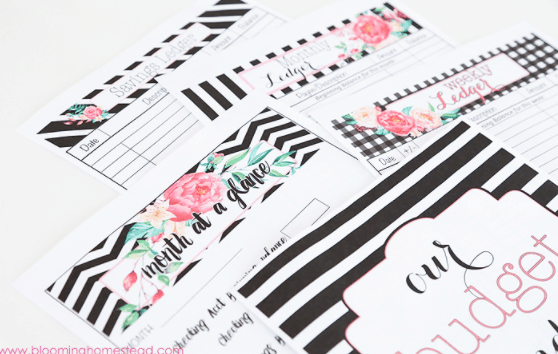 Soon after I found out how fun and easy it can really be to set up a budget with creative printables. My husband and I are both creatives so we love to be hands-on when setting up budgets. We currently have a monthly meeting every single month to go over monthly income, and expenses and the creative printables help a ton. In this post, you will find my top free budget printables that can help save money and time. 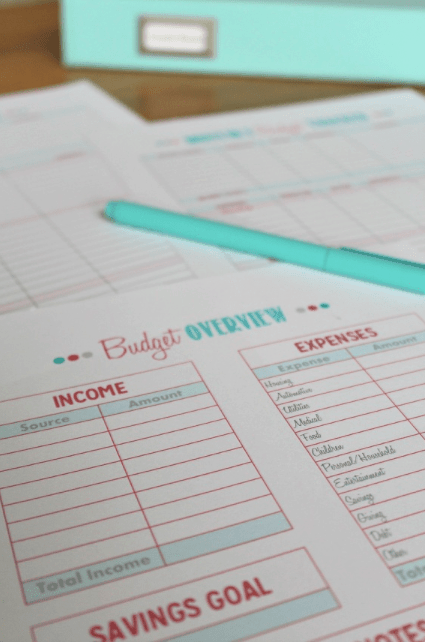 This family budget printable worksheet is definitely one of my favorites. I absolutely love colorful worksheets and this printable fits the bill. 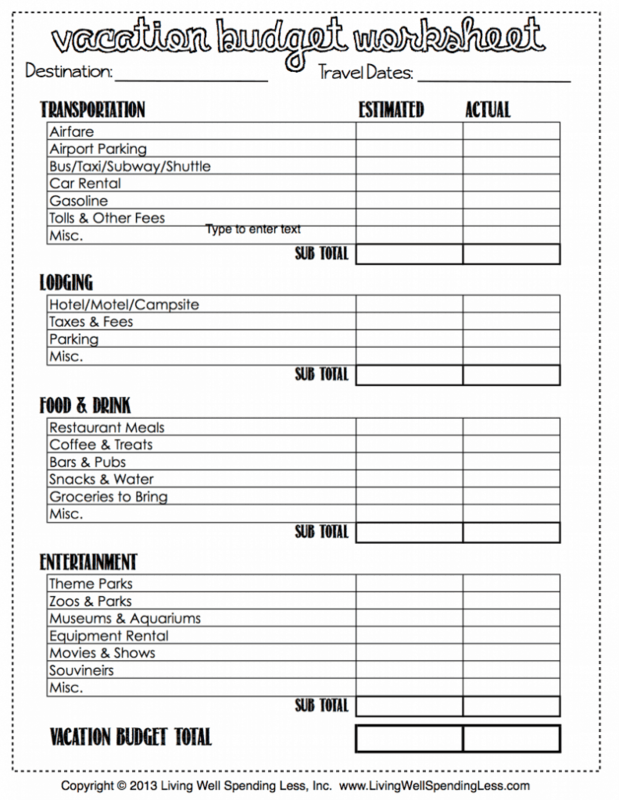 With this worksheet by A Mom’s Take you can plan your expenses and income very easily and quickly. 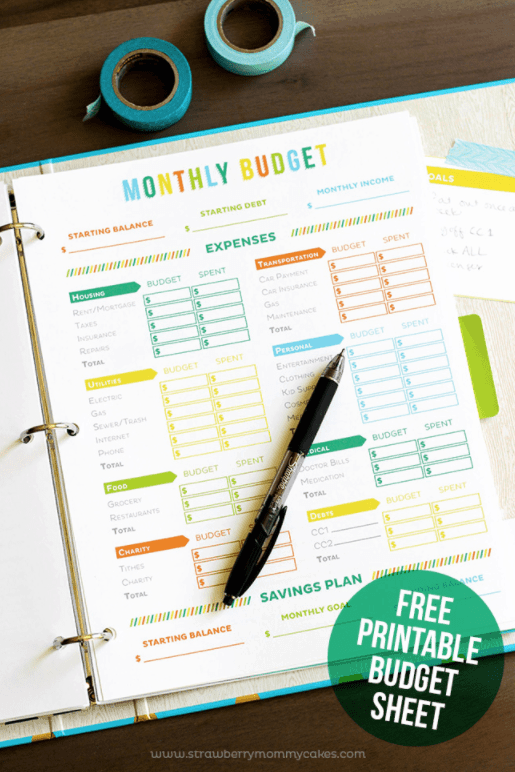 This is perfect for families that want to get their budget together with colorful worksheets. Check out the free printable by clicking here. This free meal planning printable is perfect if you love a spring theme. It will help you get meal planning together while staying on budget. 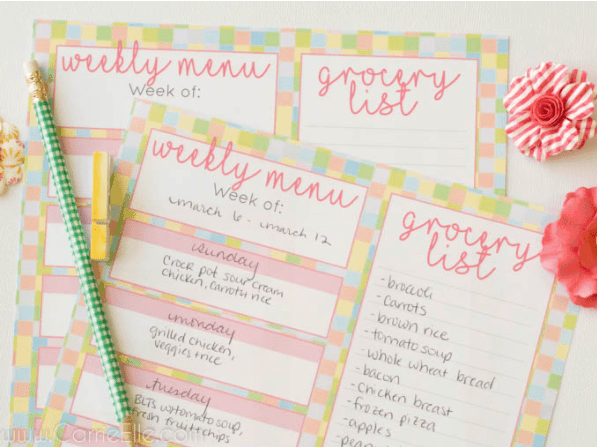 The worksheet has a section for weekly grocery list and a weekly menu so you can stay ahead of the game each week. Having a weekly menu and grocery list totally helps me stay on budget and not overspend when I am out shopping. 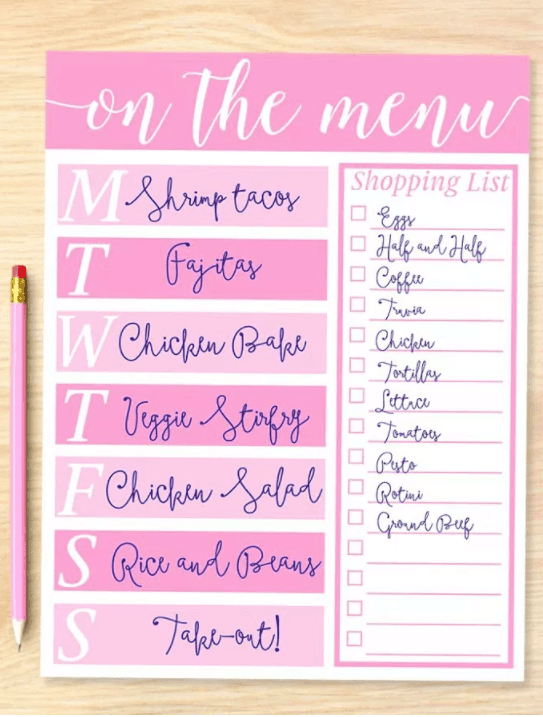 Check out the Meal Planning printable from Crystal and Co by clicking here! When I saw this budget binder I fell in love. It’s super cute and it will help pay down debt quickly. It’s also available in 3 different styles which totally rocks! Check out the Free Budget Binder created by Blooming Homestead by clicking here. If you are looking for a great set of printables for weekly fun meetings with your spouse these are perfect. Since my husband and I are super busy we tend to get super busy with our businesses and don’t get enough time to have fun. 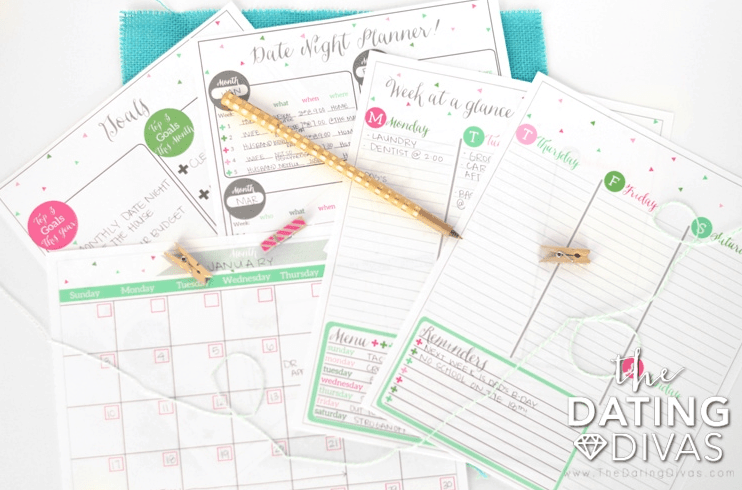 These printables are perfect if you are looking to set up date nights, goals and your monthly to-do list with your spouse. The weekly planner has everything you might need to plan a successful week with your spouse. Check out the Spouse Weekly Planning meeting by The Dating Diva by clicking here! Here are another set of great budget printables. 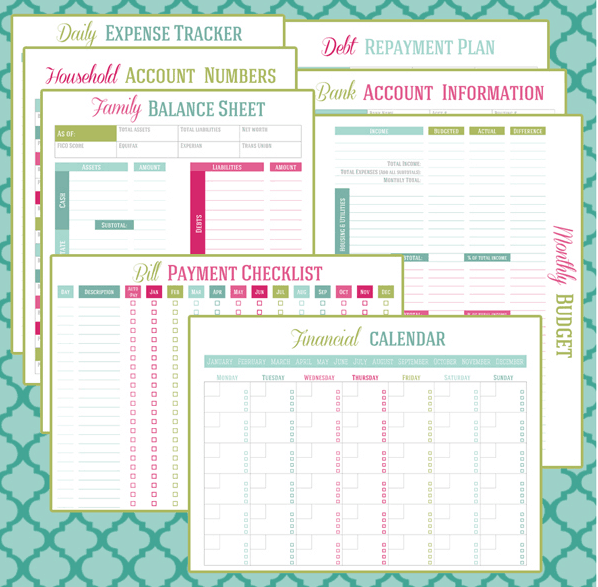 These awesome printables are great if you want to track your income, monthly saving goals, and expenses. 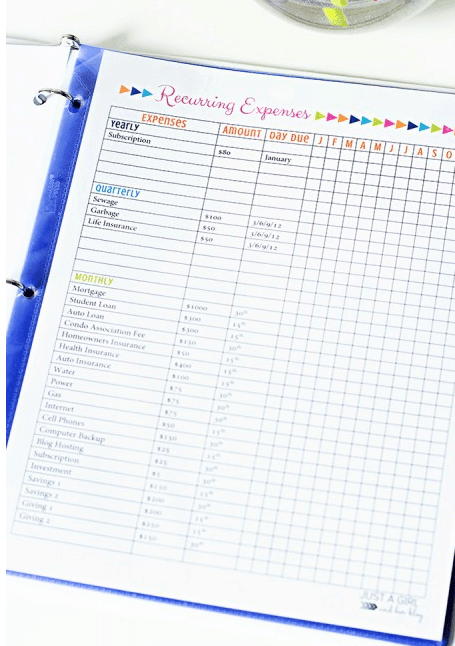 Check out the Budgeting Printable for free by clicking here! This meal planner is awesome by Savor + Savvy. This meal planning worksheet helps you stay focus on your meal goals throughout the week. This planner is perfect for me because it helps me plan out my family ‘s dinner for the whole week. It also has a space for your shopping list which was also a huge plus for me. Check out the Meal Planner Printable by clicking here. If you are going on vacation or looking to plan an upcoming vacation, this vacation budget worksheet might work great for you. This worksheet maps out all the possible cost a vacation might cost and it also has a place where you can put your budget total in to stay on top of things. Check out the family budget worksheet by clicking here. If you love colorful things like me you will love this Monthly budget printable. 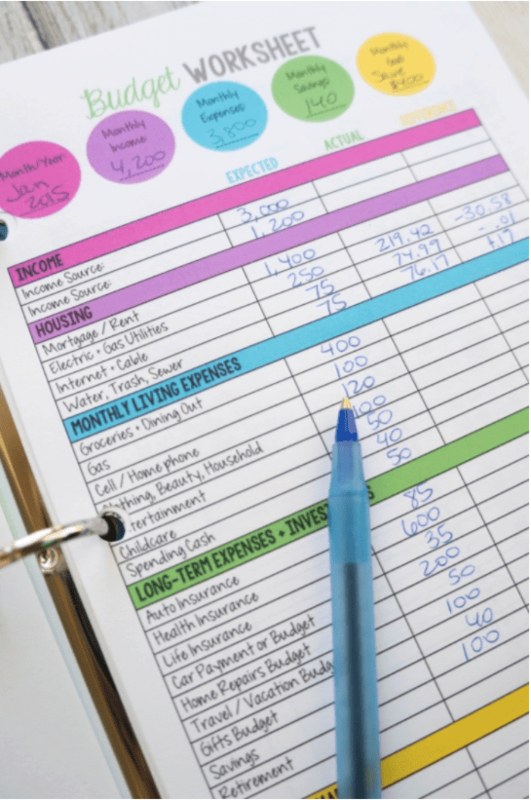 This printable help you plan out your whole monthly budget to stay on target. Check out these amazing printable by clicking here. This money management printable simply rocks because it can help you stay super organized with your finances very quickly. This set comes with a bill payment checklist, family balance sheet, household account numbers sheet, daily expense tracker, debt repayment plan, bank account information sheet, and more to help you stay organized. You can check out this set of rockstar printables by clicking here. This binder is created by Abby from Just A Girl and Her blog and I love it. This binder will help you save money and stay organized. This binder has areas for your monthly expenses, recurring expenses, goals, and more. Grab your free copy of the Budget Binder by clicking here! If you are looking to stay on budget and stick to your budget plan this set of cash budget envelopment might be perfect for you. Cash budget envelopments are great if you are on the Go because you can store them in your purse, diaper bag, book bag, and back pocket. 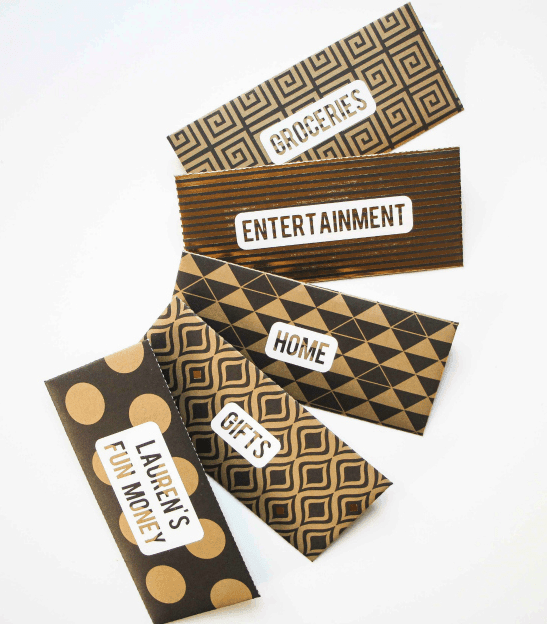 Lauren from The Thinking Closet also has a full tutorial on how to create your own DIY cash budget envelopment which is pretty rockstar. The tutorial is awesome because it walks you through how to label and design your own cash budget development very quickly. Check out the printable and tutorial by clicking here. QKids: With Qkids you can get paid up to $22 an hr to teach in China. Don’t worry, you do not need to know any foreign language and their team also create all the lesson plans for you! #Score Check out Qkids by clicking here. Pinecone Research & Swagbucks: Both Pinecone Research and Swagbucks are some of my favorite survey sites to earn gift card rewards and/or extra money online quickly Check out Swagbucks by clicking here and Check out Pinecone Research by clicking here.